The clef symbol on a musical staff tells you which pitches belong on the lines and spaces of that staff. 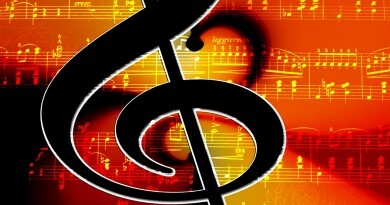 The first symbol that appears at the beginning of every music staff is a clef symbol. 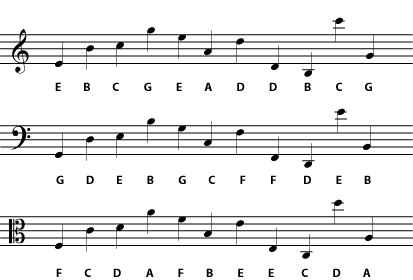 It is very important because it tells you which note (A, B, C, D, E, F, or G) is found on each line or space. For example, a treble clef symbol tells you that the second line from the bottom is “G”. The other notes are arranged on the staff so that the next letter is always on the next higher line or space. 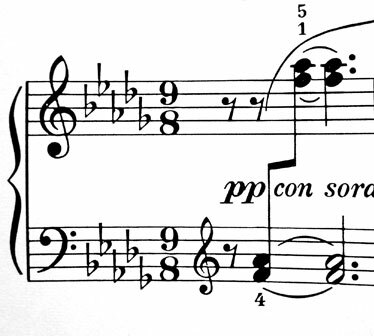 The last note letter, G, is always followed by another A. 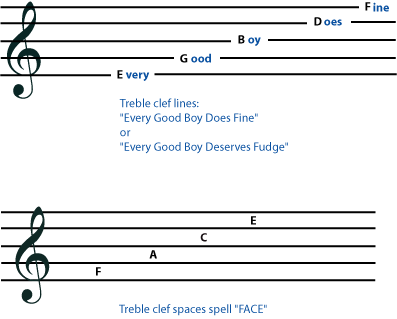 You can use a word or silly sentence to help you memorize which notes belong on the lines or spaces of a clef. Much more common is the use of a treble clef that is meant to be read one octave below the written pitch. 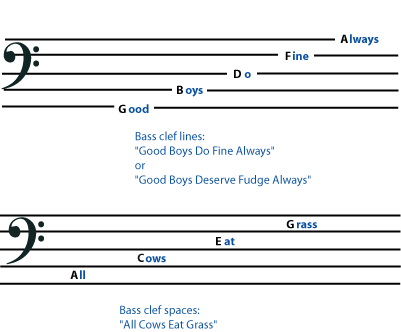 Since many people are uncomfortable reading bass clef, someone writing music that is meant to sound in the region of the bass clef may decide to write it in the treble clef so that it is easy to read. A very small “8” at the bottom of the treble clef symbol means that the notes should sound one octave lower than they are written. A small “8” at the bottom of a treble clef means that the notes should sound one octave lower than written. The G indicated by the treble clef is the G above middle C, while the F indicated by the bass clef is the F below middle C. (C clef indicates middle C.) So treble clef and bass clef together cover most of the notes that are in the range of human voices and of most instruments. Voices and instruments with higher ranges usually learn to read treble clef, while voices and instruments with lower ranges usually learn to read bass clef. Instruments with ranges that do not fall comfortably into either bass or treble clef may use a C clef or may be transposing instruments. Middle C is above the bass clef and below the treble clef; so together these two clefs cover most of the range of most voices and instruments. 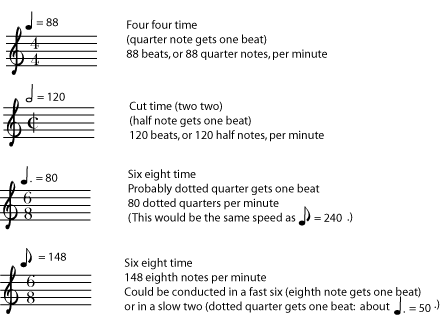 Here is a printable worksheet that you can use to help you memorize the notes in your clef.